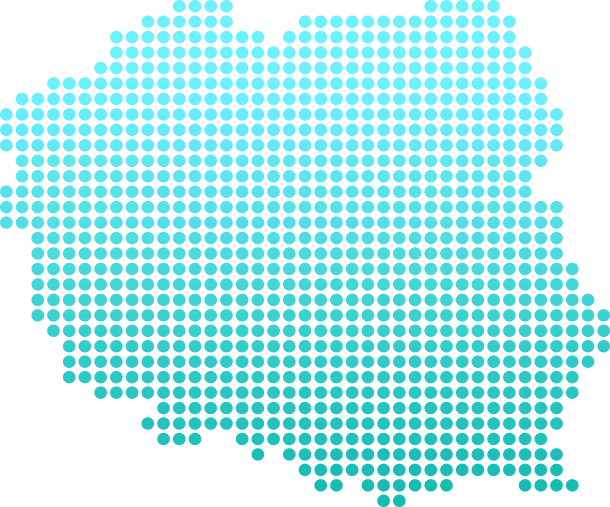 Shipping to Poland is simple with . Our unique booking system makes it easy to find cheap prices for express and economy delivery with the best Polish delivery companies. In fact, our rates are so low, we’re often cheaper than posting to Poland. also offers same-day collection in the UK and door-to-door tracking, so you can send a parcel to Poland quickly and securely with . Brilliant! Used this website many times and always keep coming back when I need to send a parcel. Always on time, quick to print the labels. Thanks guys. Very easy to use, driver was very polite. Package arrived on time and was easy to track. I really liked the service! My parcel was collected on time and delivered... 3 days before the 'estimated' date. Well done! Very easy to find suitable postage for your needs easy to use just perfect for someone who is quiet busy. I have recently tried ParcelCompare for a delivery to Poland and found the service and price to be excellent and will now use them on a regular basis. Found an affordable courier service, hassle free, courier collected package from my prefered address. Arrived two days before est. date. ’s delivery price calculator lets you see great value prices on a wide range of quality courier services to Poland. We offer great rates on both express and economy delivery, with low costs on the best Polish couriers. So with you get the best of both worlds, reliable fast delivery, at fantastically cheap prices. Compare prices from the best Polish transport companies. Select from fast or economy options. With more than 30 years’ experience we are experts in international delivery and can offer fantastic rates, while still delivering a top quality service. Our buying power enables us to offer great savings on the best couriers. We’re faster than regular postage and often considerably cheaper, with signed-for delivery and real-time tracking thrown in. It doesn’t matter whether you’re shipping a pallet, a large or small parcel, or just airmail, not only makes it easy to find a courier but also has the perfect option to suit your budget. Whether you’re looking to send to Poland quickly, or on a budget, we have a range of services to suit your needs. And if your parcel is on the bigger side we can handle it, with air freight and pallet shipping options. And we don’t just export from the UK to Poland. If you’re looking to send a parcel from Poland to the UK, then we have a wide range of import options to suit your needs. Because Poland is a part of the EU, parcels sent from within the European Union do not have to pay any duties or taxes when entering the country. Shipments from outside the EU will have to pay these fees however, unless your package is worth less than £150. When filling in customs paperwork always be clear and accurate, especially when it comes to the contents of your package and their value. If you’re sending to Poland we offer same day collection from most areas of the UK. If your shipment is heavier than 50kg or longer than 180cm on its longest side, then you will have to book 24 hours in advance. For large and heavy shipments, we can provide a pallet truck where necessary and you will have to help the driver load your package onto the van. If you don’t want to wait in for pick-up, then consider one of our hundreds of drop-off points in local shops and businesses around the UK. We deliver between 9am-7pm on normal working days. We can’t say the exact time we’ll deliver, but if you want to narrow the slot down then you can pick one of our timed delivery options. As with collection, if you have large and heavy packages then our driver will need assistance unloading them and you can request a pallet truck in advance. Most couriers will ask for a signature upon delivery, though sometimes they may leave your package in a safe place. Choose our signed-for delivery upgrade when you book to guarantee a signature. is the only online courier comparison site to offer comprehensive on-site real-time tracking of your parcel for every step of its way to Poland. Every time your parcel is handled, from loading into a van, to sorting at a warehouse, to its final delivery, the barcode on the label is scanned. With you can check your parcel tracking on our site at any time and see the latest scans from your shipments, so you know exactly where they are. And if for any reason there’s a delay, we will email you and the person you’re sending to with an update. Our UK-based expert customer service team are also on hand to help ensure your delivery goes smoothly. As with all other shipments to Poland, if you’re sending from the UK, or any other country currently in the EU, then you will enjoy no customs duties or taxes on gifts. Customs officers may still open and inspect your parcel, which could damage any wrapping, so consider using a gift bag instead. The more descriptive you are on paperwork the better. "Gift - wooden baby toys" gives a better idea of the contents to customs officers than simply "gift". If you're sending a gift to Poland for a public holiday, deliveries are only made on working days, so be sure to book your collection in advance. are experts in large and heavy shipping and we can deliver packages up to 270cm in length or 1,000kg in weight to Poland. All we require from you is that your shipment is appropriately packaged, on a pallet where necessary, and that you book 24 hours in advance. We are not however a removals company, and will not ship furniture unless it is packaged sufficiently. Poland has plenty of culinary delights on offer, but sometimes there’s just nothing like the taste of home. Food is one of ’s most popular gifts for just that reason, and knows exactly how to make sure it arrives safely. So if Pierogi or Bigos isn’t hitting the spot, or someone special is craving a tasty treat, makes it easy to send food to Poland, as long as you keep to a few basic rules. International shipping is a process in which your package changes hands multiple times on the way to its destination. Properly packaging your goods will make sure that they arrive in as good as a condition as they leave in. Using a new box is vital to ensuring your goods arrive in great condition – old boxes could be concealing issues that lead to boxes bursting or being crushed. In particular, packages that weigh more than 10kg should use new, double corrugated boxes. Wrap up each item individually before placing them in your box. You should surround them on all sides with packaging material, and pack them tightly enough that they don’t move when the box is shaken. Use good quality packing tape and wrap your box in a Union Flag pattern three times. Use extra tape on the seals and corners, then apply your shipping label so that all information is clearly visible. Yes, absolutely. Food is one of our most popular delivery items and it makes a great gift to a loved one living abroad. There are restrictions to sending food, the most notable of which is that the food you send must have an expiry date at least six months into the future. This means that unfortunately homemade foods cannot be sent by courier to Poland. Are there any restricted items when shipping to Poland? Poland welcomes free movement of goods through the EU, though there are some things which our couriers will not carry to any destination. You can see ’s list of prohibited items here. If you’re sending from outside the EU and want to check on customs restrictions, then you can contact the Polish Ministry of Foreign Affairs. Will deliver on a holiday? Sending gifts to Poland is always a nice way to celebrate a festive occasion, but if you’re sending around a bank holiday remember to book well in advance and allow extra time, as our couriers won’t deliver on a national holiday. Absolutely. Opening your eBay auctions up to international bidders can seriously increase your final selling price. You can check delivery costs with our eBay courier calculator before you list. Yes, offers delivery solutions for both individuals and businesses, and if you have a regular shipping need we can save you even more money with our loyalty programme. Find out more about our business shipping programme here. has developed a reputation for excellence and great customer service over the three decades that we have been in the courier business and we pride ourselves in offering the best price without needing to compromise on service. That’s why we offer free door-to-door tracking and your choice of courier, all for more than 60% cheaper than booking directly. We pride ourselves on delivering the most reliable service possible, and that’s why we only work with the world’s best couriers . These include DHL, DPD, FedEx, TNT and UPS. Are there any charges or delays when delivering to a remote location? Though many Polish people make their homes in the cities like Krakow and Warsaw, there are hundreds of thousands that live in less urban areas in the eastern and central provinces like Lubusz Voivodeship and Subcarpathian Voivodeship. Delivering to those who live in rural areas far from the beaten path can present some problems, and sometimes requires extra time or some surcharges to be delivered. With however, this should come as no surprise as our unique booking system factors in these charges or times when the destination address is entered. That means that you’ll only need to pay what we quote, and your parcel will arrive when it’s expected.